Over the past few months, Blac chyna's name was on everyone's lip as she leaps from one man to another. Recall we reported earlier on how she left mechie for another rapper? 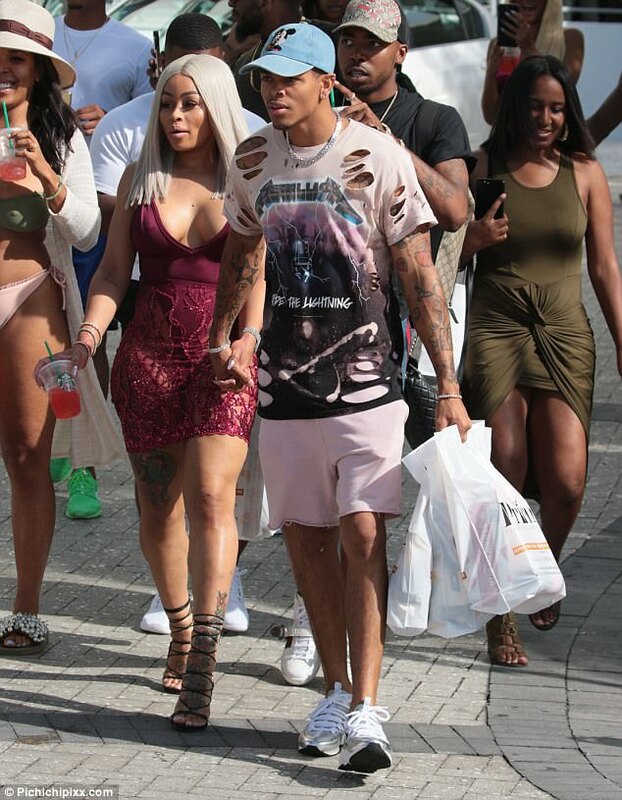 Well it seems the two love birds are back together again as they where spotted out enjoying yesterday's holiday in Miami, Florida. 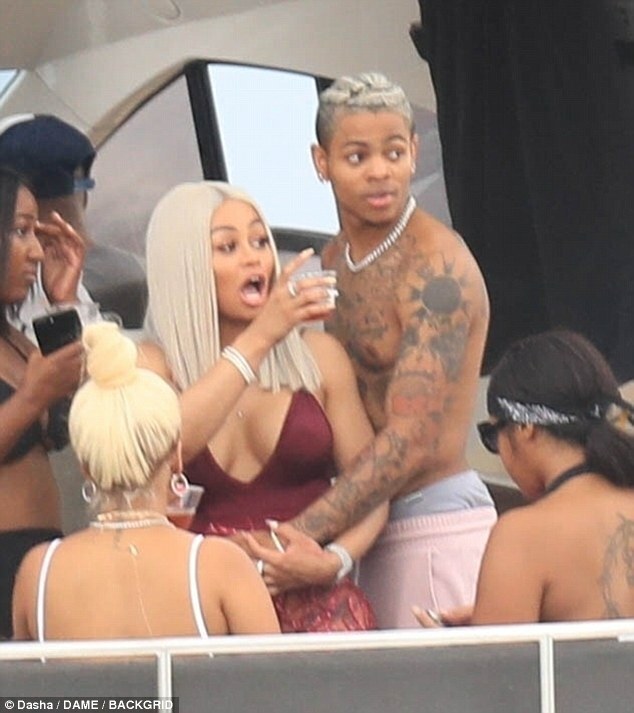 The excited stripper smooched her shirtless rapper Mechie as they went boating with pals off the coastline. 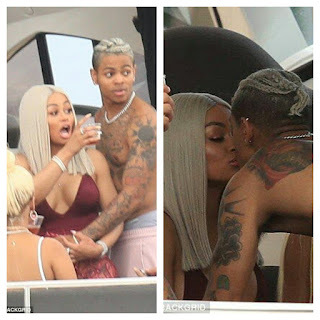 See photos of them goofing around..